The southern half of Utah is one of the most unique places on earth. Most eyes see the desert as empty and barron. However, those who brave the sun and heat discover the majesty of the desert is unmatched. You look accross a seemingly flat landscape, hidden less than a mile from your view cracks creep hundreds of into the ground. These curious few cases range from inches to hundreds of feet wide and from a distance you will never see them. Recently I started canyoneering. To navigate slot canyons safely you must be prepared, in good physical condition, have good problem solving skills, and be able to endure. Preparation: Today we are blessed with a great tool called the internet. Thanks to many wonderful people writing their experiences online you can have a better understanding of what to expect to come. 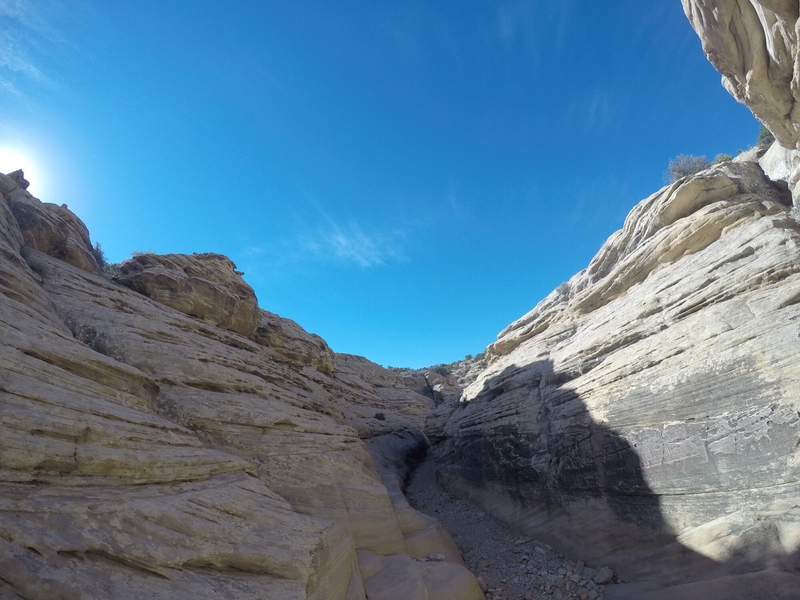 In canyoneering we call this canyon beta. Getting an accurate understanding of the canyon and its personality before you enter it is one of most important things you can do to decscend a canyon safley. It allows you to get accurate directions ensuring that you actually enter the correct canyon. It lets you know what the personality of the canyon is. Is it really skinny? Does it require lots of climbing? Are there serious obstacles to be aware of? How many rappels are there? How long are the rappels? All of these questions can be answered with some diligent research done before hand. Be in good physical condition. While not 100% nessessary it definately makes it easier if you are. It will also limit some canyons you can and cant do. 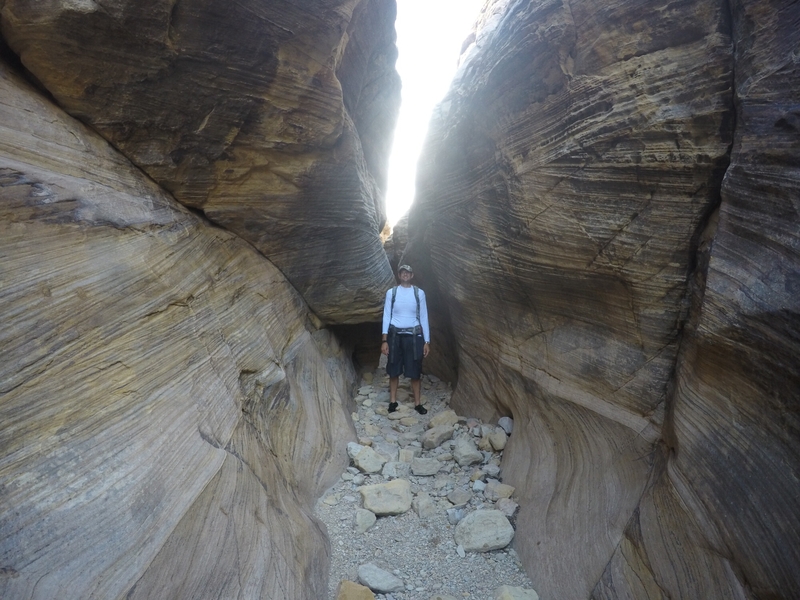 Slot canyons are incredibly beautiful. They will blow your mind how deep and skinny they can be. I have come to appreicate not having a big gut. It is super liberating. It allows me to navigate these canyons so much easier. Also, in some canyons there is a considerable amount of down and up climbing. Being able to safley climb or lower yourself down 10 – 15 ft drops is a must. 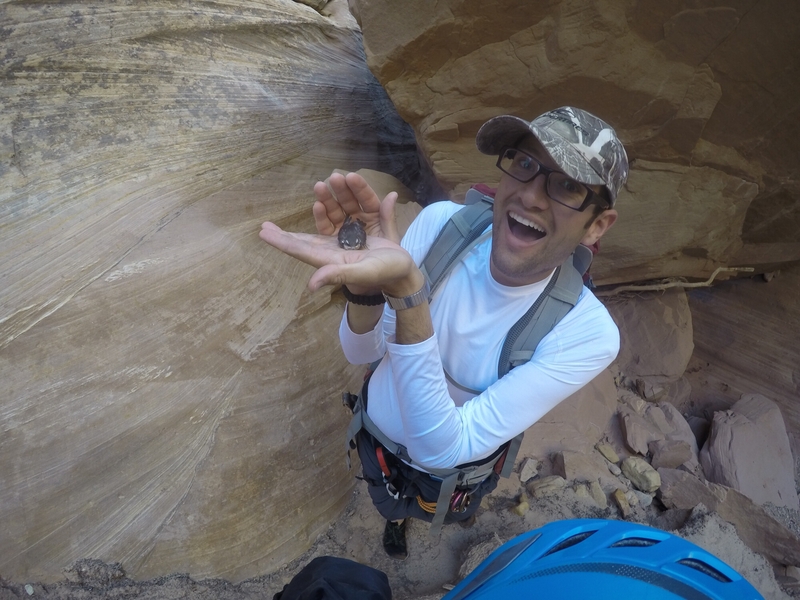 One of the things that attracted me to the sport of canyoneering is problem solving. I love seeing an obstacle and trying to figure out a way to over come it. In canyons you encounter many different types of obstacles. The most obvious is cliffs. Rappeling down cliffs is one of the most exciting parts of canyoneering. Knowing how to build a variety of anchors and set ropes so you can safely descend and retrieve your gear is essential. Another obstacle and one of the most dangerous are potholes. Some canyons are notorious for having potholes that if you fall into they’re near impossible to get out without proper knowledge and skill. Last but not least is endurance. Many canyons require long days. My recent trip took over 7 hours much of that was exposed hiking in very hot weather. I will tell you crossing desert mesas in 95+ degree heat requires some serious will power. The desert and the sun are unrelenting. While canyoneering you’ll enjoy beautiful scenery relativley few people will ever see but you’ll also endure some of natures harshest envoiroments. It’s worth it. To conclude my love of canyons here is the video of my most recent canyon adventure. I hope you guys enjoy it. Always look for the best way! Love you pictures! This must have been an amazing adventure! So cool that you do this. Thanks for sharing your thoughts and pictures!